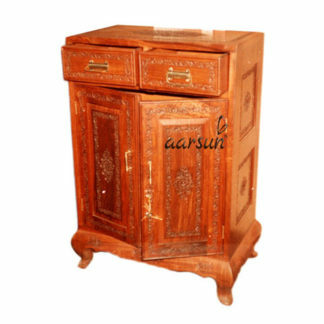 Aarsun Woods brings to you Wooden side table for bedroom and living room. 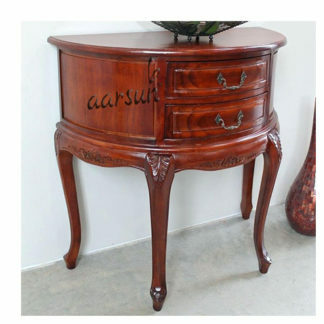 The unit is made from premium quality Teak Wood in traditional design and handcrafted by skilled artisans. 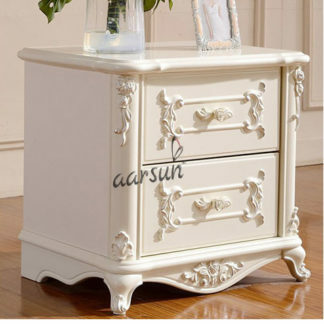 Wooden bedside tables add elegance to your bedroom decor with flower vase design.The unit has an ready flat top that has an opening to keep newspapers or magazines or any other essentials hide perfectly. 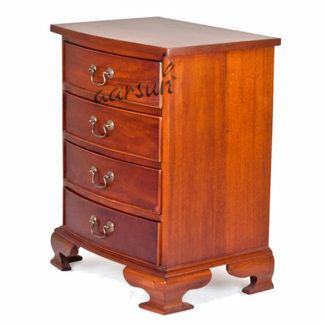 Wooden Bedside Table front two large drawer to store your essentials like, books, medicines etc.